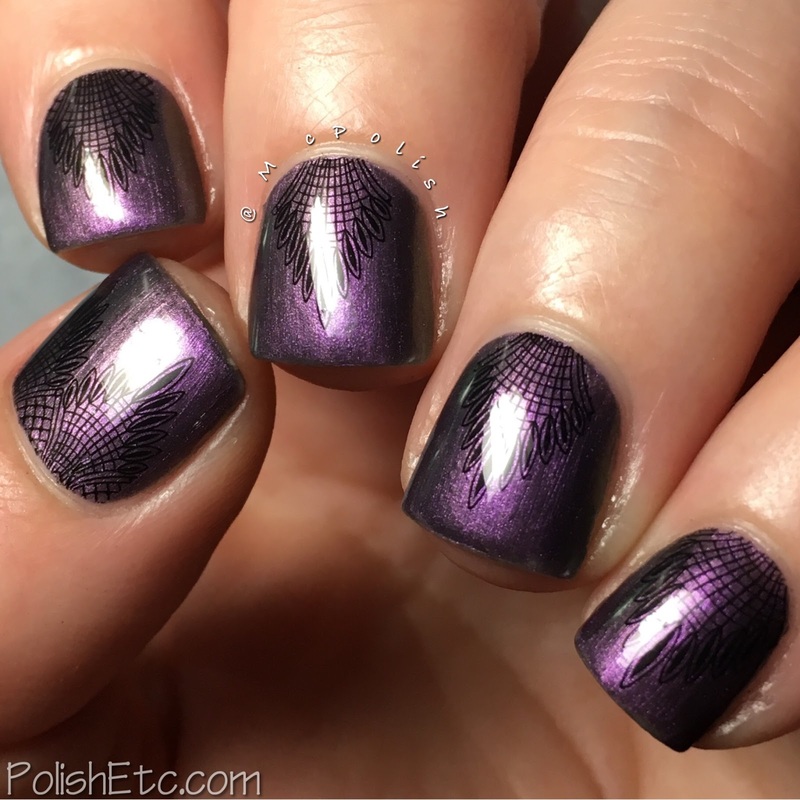 Violet Nails for the #31DC2017Weekly - Polish Etc. 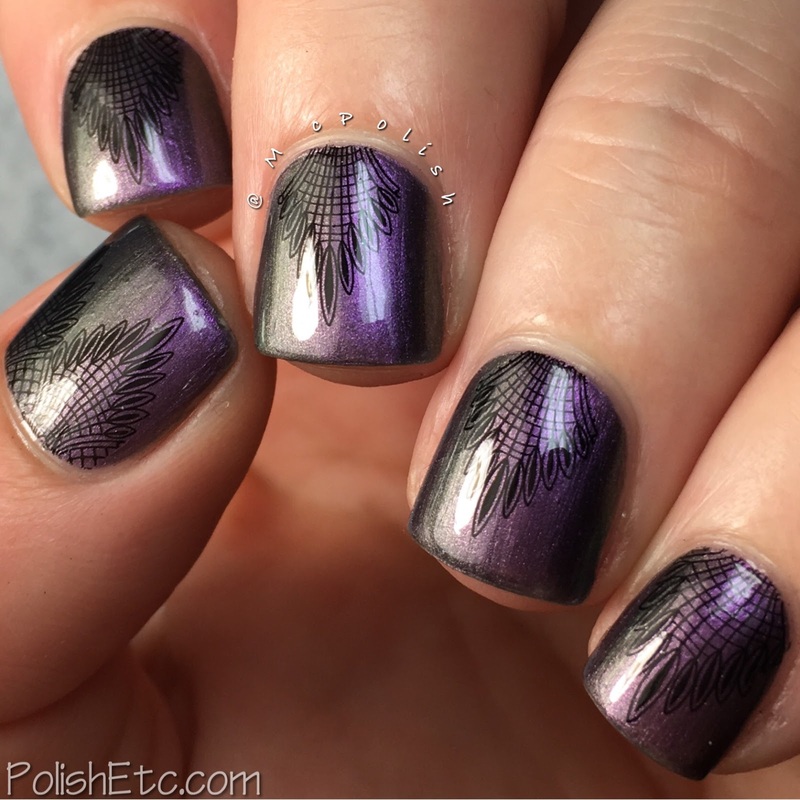 We are 6 weeks into the weekly version of the 31 Day Nail Art Challenge and so far I have been using a Zoya nail polish every week in my manicures. I hope you are seeing some Zoya polish that you like because tomorrow starts their annual Earth Day sale which you can get all polishes for 50% off. For my purple nails this week, I used a shifty Zoya as my base and some water slide decals from Born Pretty Store. Let's take a look! I started with a base of Zoya's "Ki" which is a dusty purple to green duochrome. It is a little on the sheer side and little brush strokey. But the shift is great! This photo below was taken under one light source, but all the rest of them were taken under two light sources to show off the shift better. Then I added some water decals from my cuticles with an intricate black design. Everything was topped off with a glossy top coat. Here is 'Ki" all by herself in three coats with a glossy top coat. This polish would also look great with one coat over a black creme. And here is the sheet of decals. For my shorter nails, I could use the top and bottom of the design separately. Plus you get those little single flowers. I just used the bottom of the design for this manicure. If you want to snag some cool water decals for yourself, use my code AVAW10 for 10% off your order at Born Pretty Store. 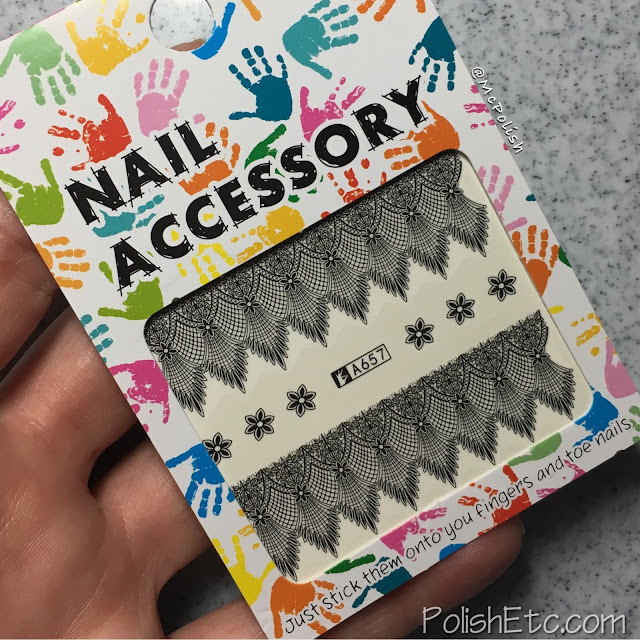 They have TONS of nail art items to choose from. And don't forget to check out the many awesome nail art creations being submitted for the weekly challenge this year. Just look under the #31DC2017Weekly tag on Instagram, Facebook and Twitter. I definitely don't have enough waterdecals ^^ That looks so beautiful together!